It has certainly been awhile since I wrote in my blog, so here goes. I am still loving my little job at the Sewing Machine Service Store. 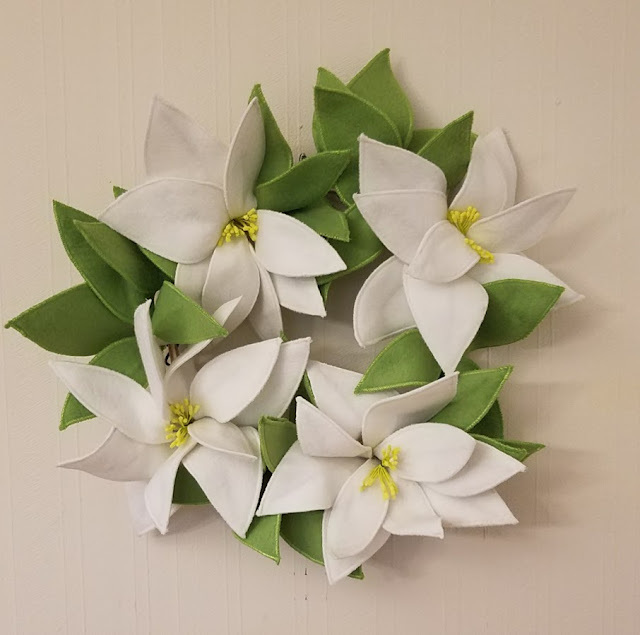 I have been working there for about a year and a half and I update the Website, Facebook and put together the monthly newsletter. I can do all this from home so I like not having to punch a clock. The owners are super nice and treat me well. I have taught some classes as well. 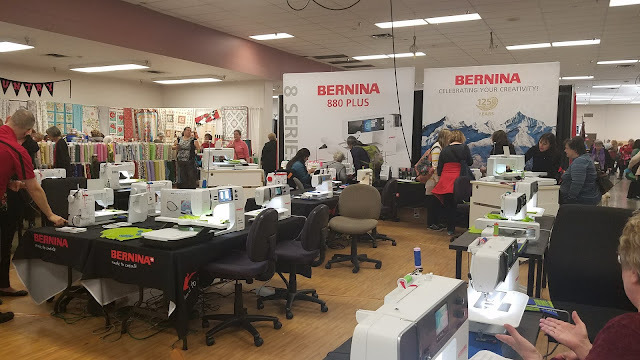 Serger class, Stabilizer Class and a class for new owners of the Bernina 330 and 350 machines. I don't have to teach so it is nice that I don't feel pressure to do this. I was pleased to work in the sales booth at the big Sew and Stitchery Expo in Puyallup last Thursday, Friday, Saturday and Sunday. I worked 10 hour days not counting the 45 minute drive each way. Patty lives near me so we carpooled. 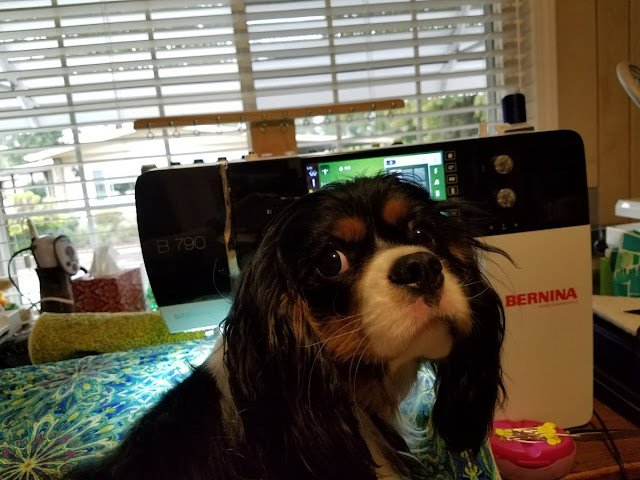 I sold 10 sewing machines/sergers. I thought I sold more, but it looks like others couldn't qualify for financing. I loved having the opportunity to do this. Last year I worked in the classroom and enjoyed working with Cheri and Ken and Sue but found selling machines more to my liking. I taught a class several months ago, which was about using your serger to make this sweet knit top, modeled by Charlotte. 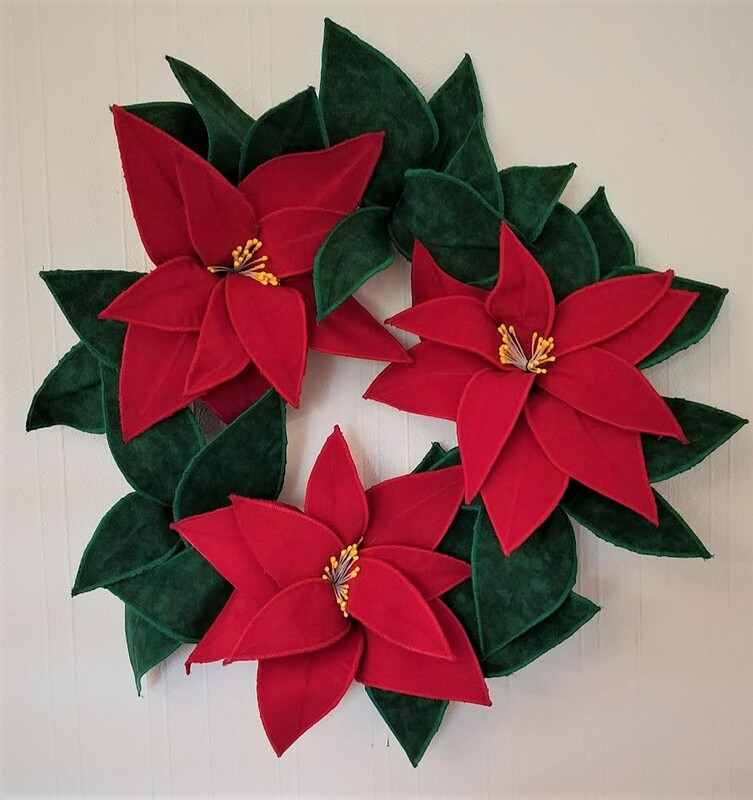 I was all prepared to teach this poinsettia class using your serger, but people didn't sign up for it and the ones who wanted it were going to be out of town. 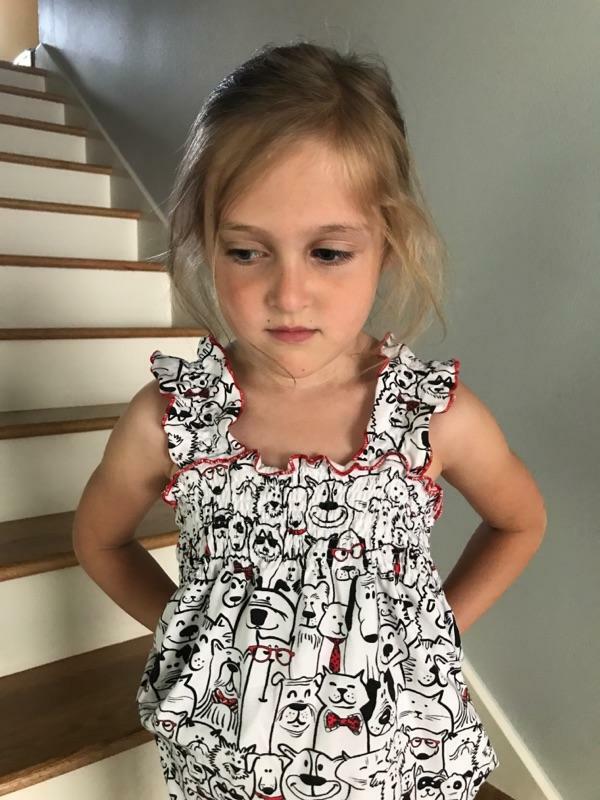 I did sell a few patterns, however, so they could make it on their own. I liked this one done is white polar fleece. Here is my Bernina 790 Sewing/Embroidery machine. I LOVE IT! 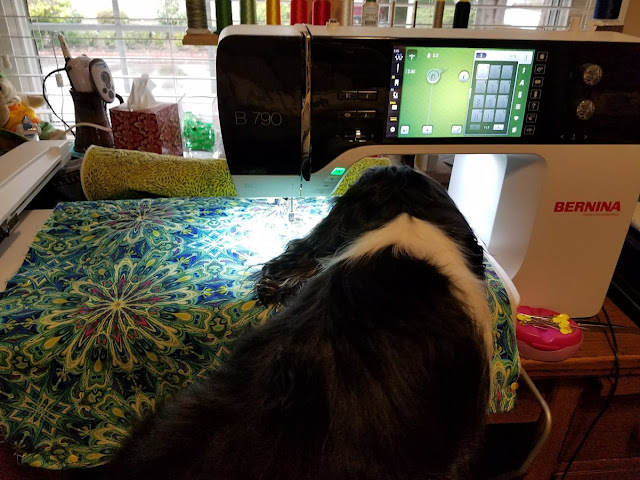 Beemer likes to help.